April has arrived and so far it has brought a mixture of gorgeous sunshine and freezing rain, this morning we even had a small skittering of snow! In the greenhouse the vegetable seeds I sowed back on 13th March are growing nicely and will soon need pricking out. 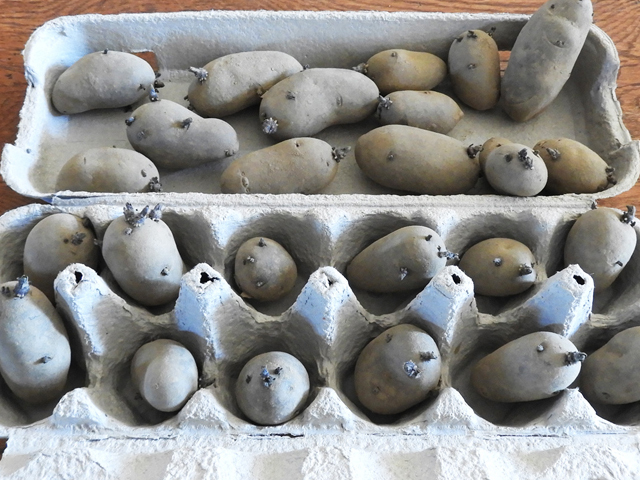 Although it’s still too cold here in La Corrèze to directly plant any seeds or seedling outside, I have started to plan my vegetable plot for this year and to think about which flowers I would like to include. As my vegetable plot forms our front garden, I like to make it look as attractive and as colourful as possible, but this is not the only reason I mix flowers in with my vegetables. Many flowers can in fact add to the overall health of your potager by attracting pollinators and other beneficial insects and by repelling harmful ones. 1. Calendula, Calendula officinalis. French name: Le souci officinal. Both pollinators and aphids find Calendula flowers highly attractive which means they can be used in your vegetable plot in two different ways. 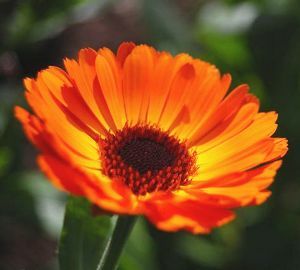 Planted close to the likes of your courgette plants, Calendula will help to attract bees to the area to pollinate their flowers; planted near to your peas and beans, Calendula will help to attract aphids away from these crops. As a bonus, Calendula is also highly attractive to hoverflies, who in turn love to feast on aphids making it an all round perfect flower for the vegetable garden! Bright yellow or orange in colour, Calendula grow to about 45cm in height, and flower from June – October. Whilst great for attracting pollinators to your vegetable flowers, the strong scent of Marigolds will also deter many damaging pests such as greenfly and blackfly from visiting your vegetable plot. Available in vibrant shades of yellow, orange and red, Tagetes patula reach a height of about 25cm, and will flower from spring to first frosts. 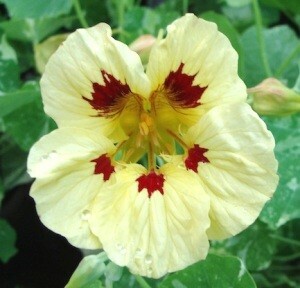 Nasturtium can be grown as both an edible and sacrificial crop. Having wonderful, peppery tasting flowers, Nasturtium can be grown and added to salads, but they are equally wonderful at keeping caterpillars away from your cabbages. Plant next to cabbages and cabbage white butterflies will lay their eggs on the Nasturtium plants rather than your cabbages. As aphids and blackfly equally love Nasturtium they are a great plant to attract these pests away from your peas and beans. Nasturtium are available in various shades of cream, yellow, orange, red and burgundy, and can either be left to creep through your borders or trained to climb up a trellis or garden obelisk. 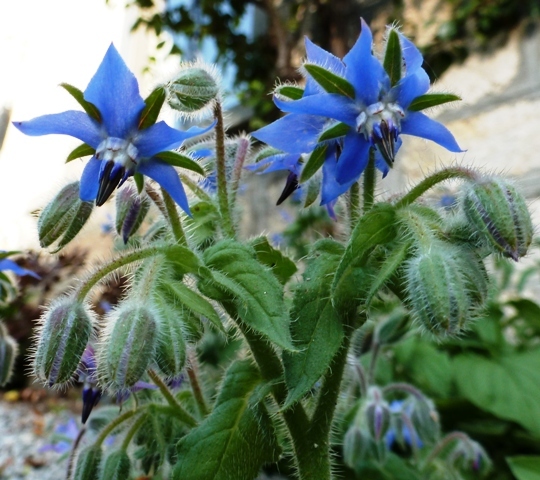 Both the leaves and the beautiful bright blue flowers of the Borage plant are edible, and have a subtle cucumber flavour. Bees adore Borage flowers, plant this in your potager and you’ll have pollinators galore visiting your vegetables. 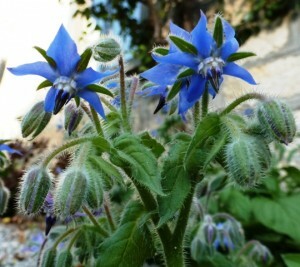 Borage will flower from April – November and grows to a height of 90cm. Cosmos are loved not only by bees but also by lacewings. Lacewings, particularly during their larvae stage, are very beneficial for your vegetable plot as they will feast on mountains of aphids and other soft-bodied pests. If you can attract lacewings to your vegetable plot, you’re well on your way to having a happy, healthy vegetable plot! 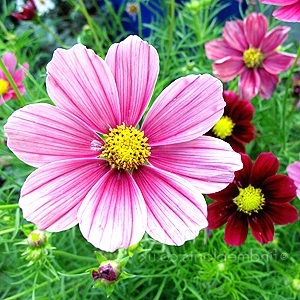 Available in white, pink, red, yellow and orange, Cosmos will flower profusely from June through to November and reach a height of about 60cm. You’re led to believe that everyone loves the scent of lavender, well apparently not! Ticks, mice, fleas and whitefly are among those who find lavender quite repellent! Whilst lavender will attract butterflies and bees to your vegetable plot it is equally the perfect plant to act as a general pest repellent. 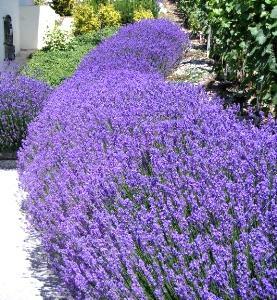 Lavender flowers during the summer months and grows to a height of 30cm. Big, bright, bold and full of pollen for bees and other pollinators. Plant sunflowers in your vegetable plot and not only will they add height, structure, and attract pollinators to your vegetable flowers, but at the end of the season, the heads can be dried and hung out for the birds to feed on during the autumn months. Sunflowers are the perfect wildlife feeding station! 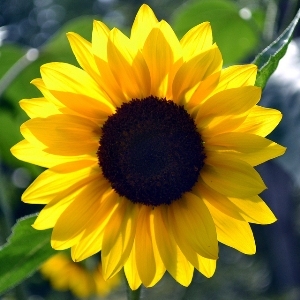 Sunflowers flower from July – September, and grow to a height of, well…30cm – 3m! The choice is yours! Bursting with fragrance, Sweet Peas are a great way to attract pollinators to your vegetable garden. Plant them among your peas and beans to help attract pollinators to your crop and to add a zing of continual colour. 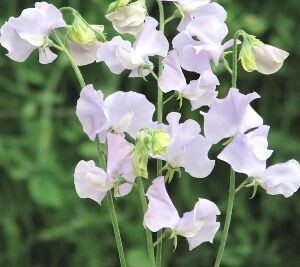 With regular picking Sweet Peas will flower from late spring until the first frosts. 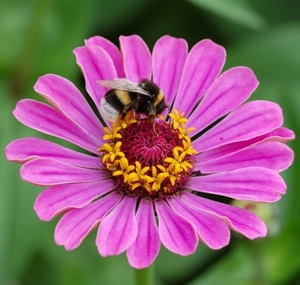 Bursting with colour Zinnia are fabulously rich in nectar and are a magnet for bees and other pollinators. 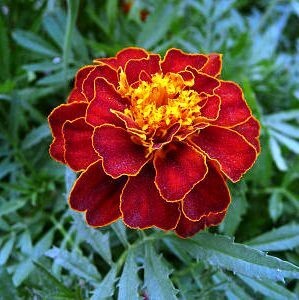 Available is just about every colour under the sun, Zinnia will flower endlessly from July through to autumn, and reach a height of about 60cm. 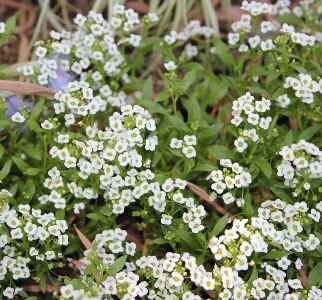 With its lovely sweet fragrance and mass of white flowers, Sweet Alyssum will attract not only pollinators to the vegetable plot but also ladybirds and lacewings which will devour aphids. A low growing, bushy annual or perennial, Sweet Alyssum is available in white, pale pink or purple and grows to about 25cm. It would look stunning around the borders of your vegetable plot. 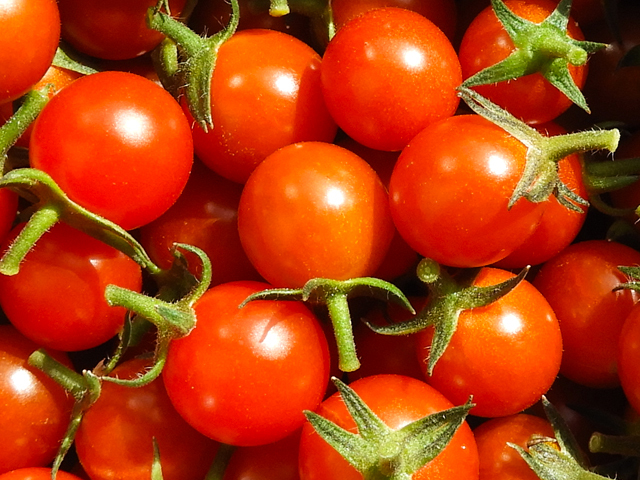 These are my favourite top 10 companion plants for the vegetable garden. 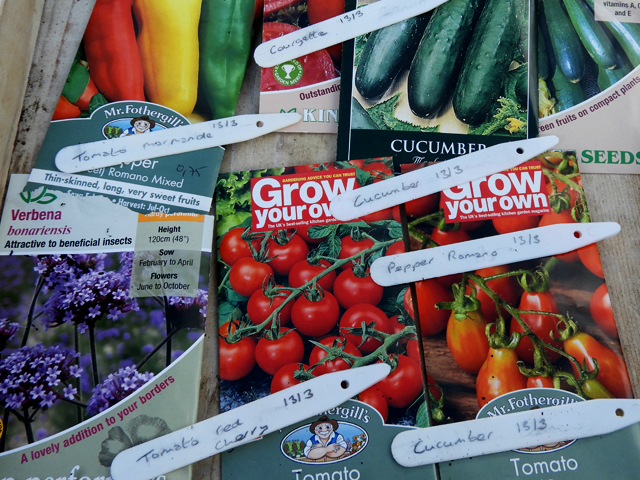 The question now is, if I grow all these, will I actually have any space left for vegetables?! Hi, I’m over from #allaboutfrance. What a great post! I’m bookmarking this for the future. We hope to move to France late July/early autumn and, although we’re planning on renting first, my lack of gardening skills means I’m having to read up on just about everything. I can see your blog is going to be a great resource! Thank you Andrea. You must be so excited about moving to France, what region are you hoping to move to? Weeds certainly are growing well at the moment!!! Enjoying your page very much, finding lots of helpful Tips. My father always advised growing onions with carrots as the smell deterred the carrot fly and vice versa. Another pearl of wisdom was using Nasturtiums amongst Brassicas being that the Cabbage white will prefer to lay its eggs on the Nasturtiums. Unfortunately with the latter I’ve found the Nasturtiums draw the aphids ugh!